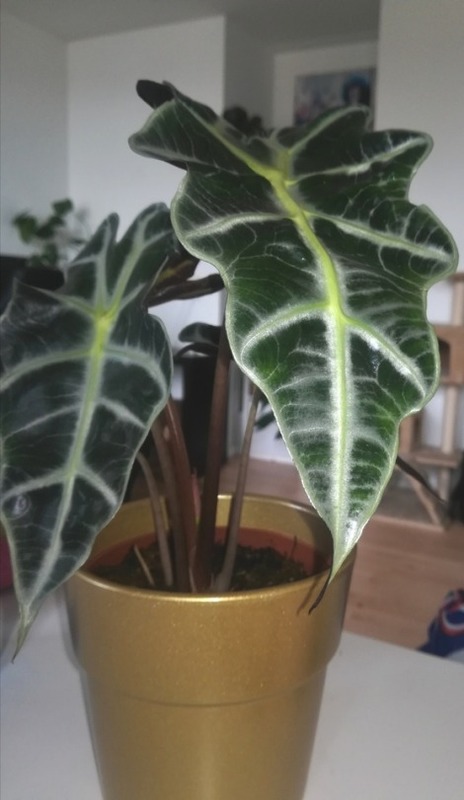 O B S E S S E D with my new (and first!) 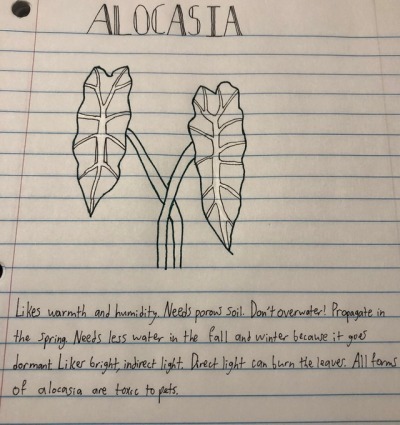 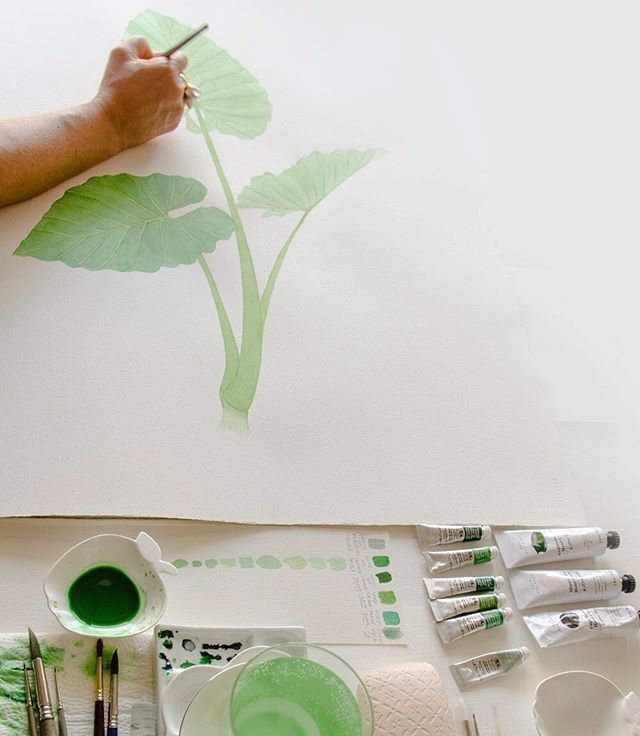 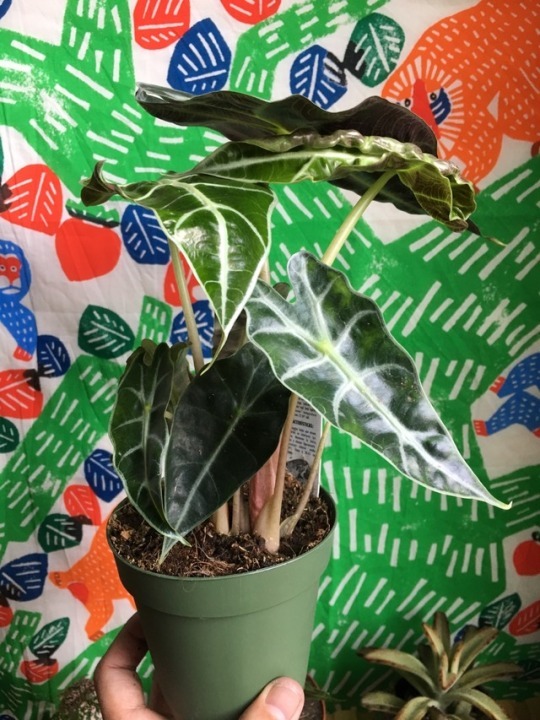 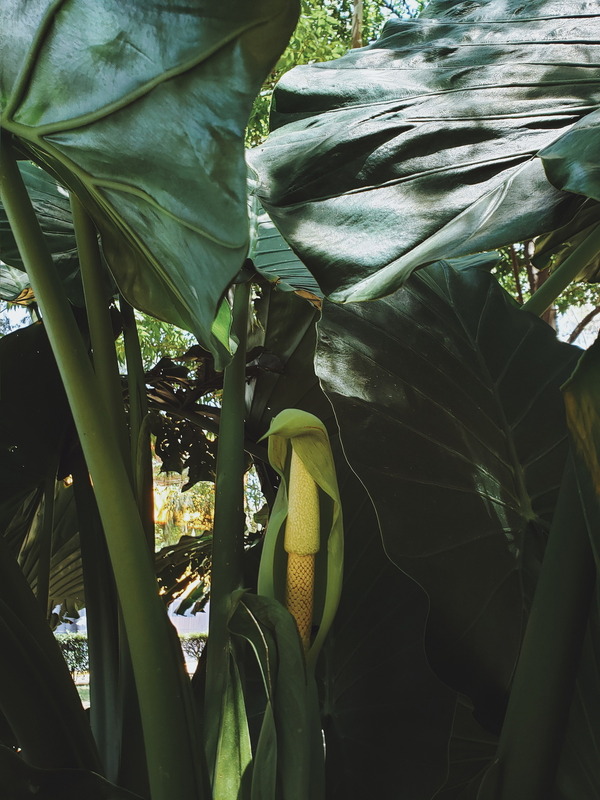 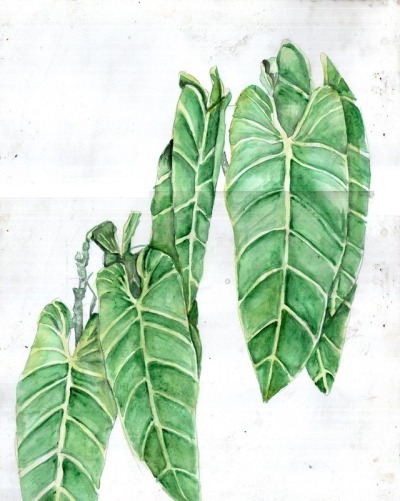 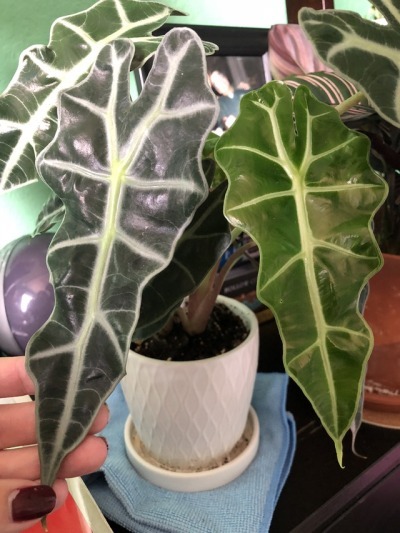 alocasia! 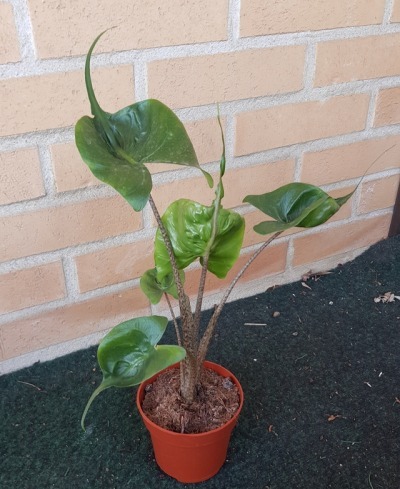 Such a strange looking plant!! 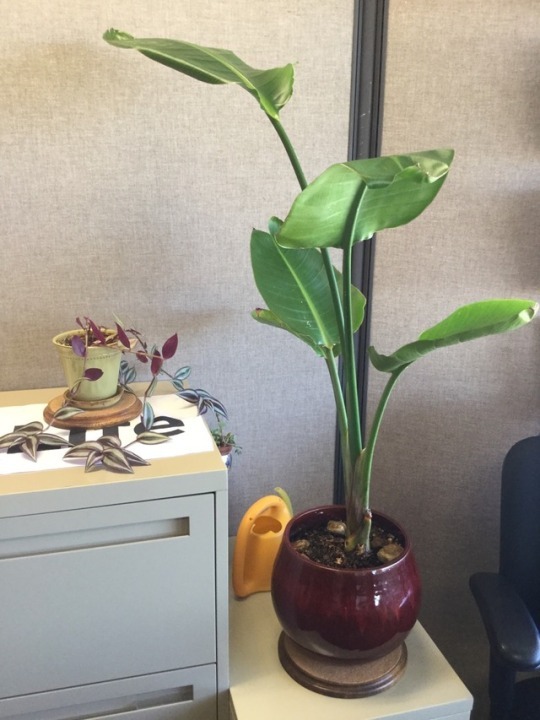 Update on my work plants, making some changes this weekend. 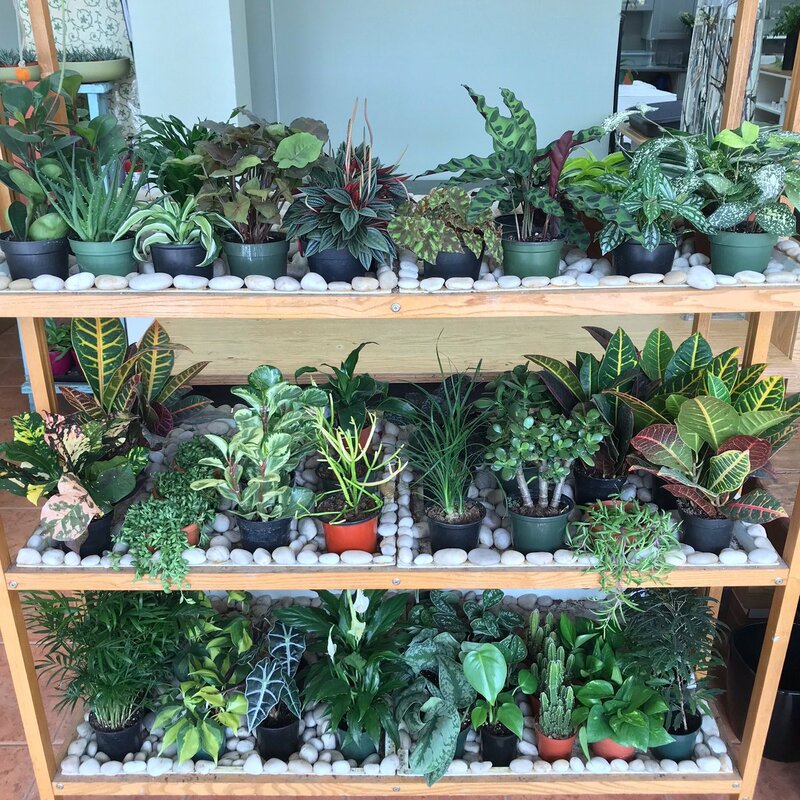 The plants at home are getting moved too! 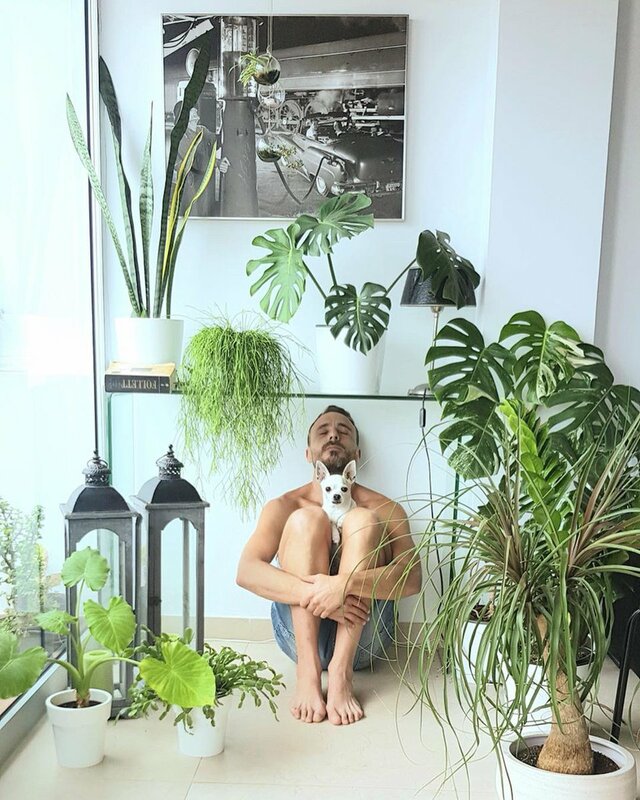 More posts to come. 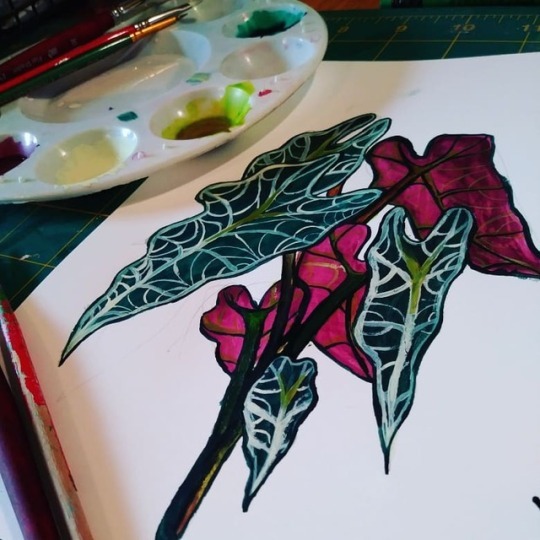 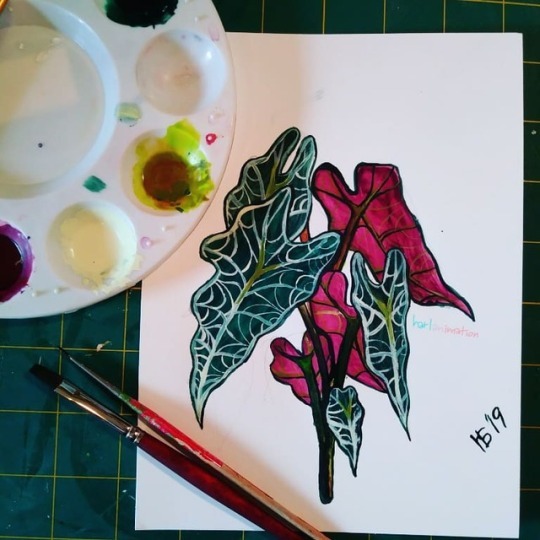 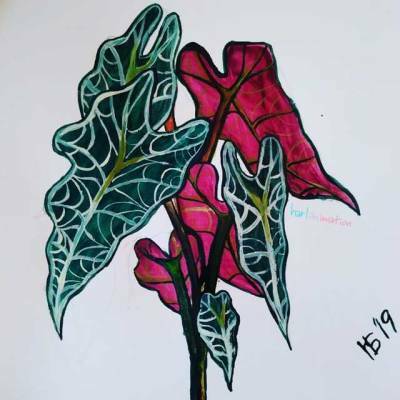 I like cataloging and drawing my plants. 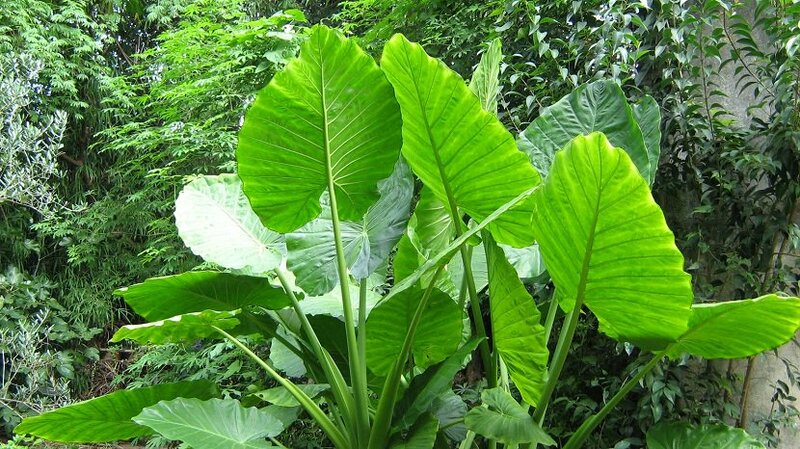 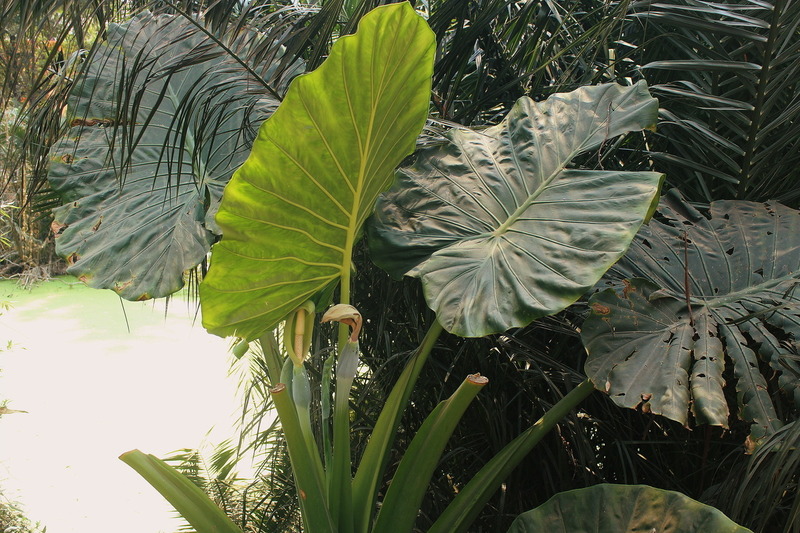 This plant thrives in an environment with high humidity and bright, moderate light (no direct sunlight). 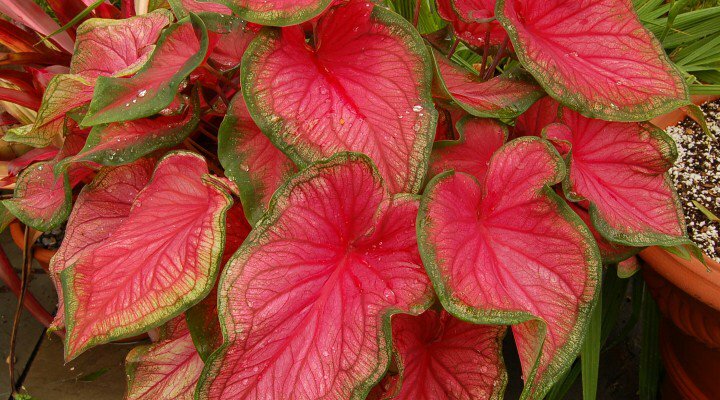 In general, they prefer their soil to be consistently moist, but will tolerate drying out a little bit at the surface (be careful not to let the soil dry out completely). 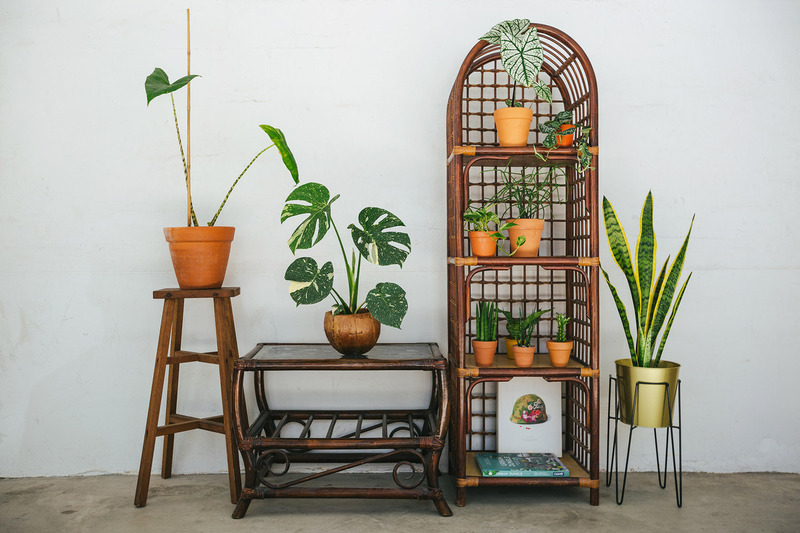 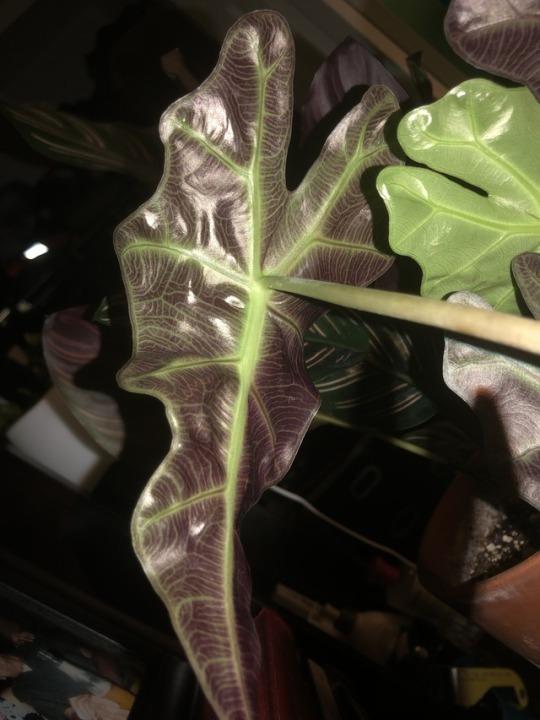 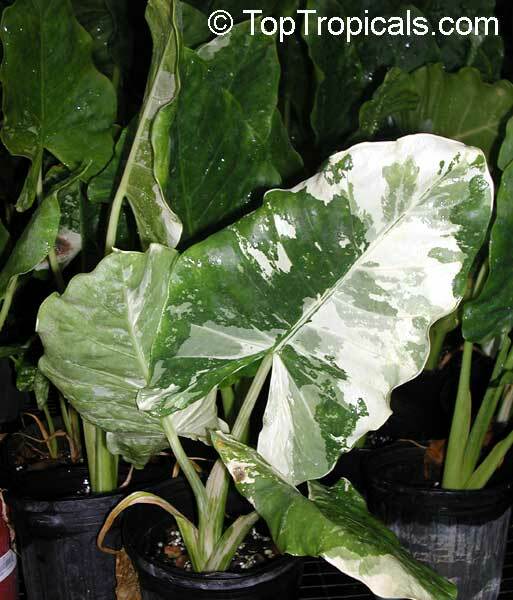 CARE TIP: We would recommend carefully checking your Alocasia plants regularly for pests such as spider mites. 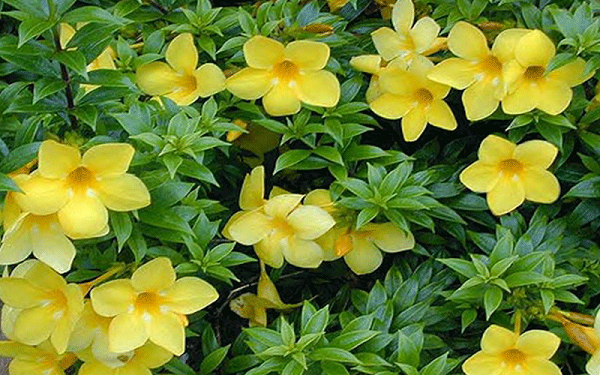 These unfortunate little pests thrive in dry conditions and are often identified through the webbing they produce. 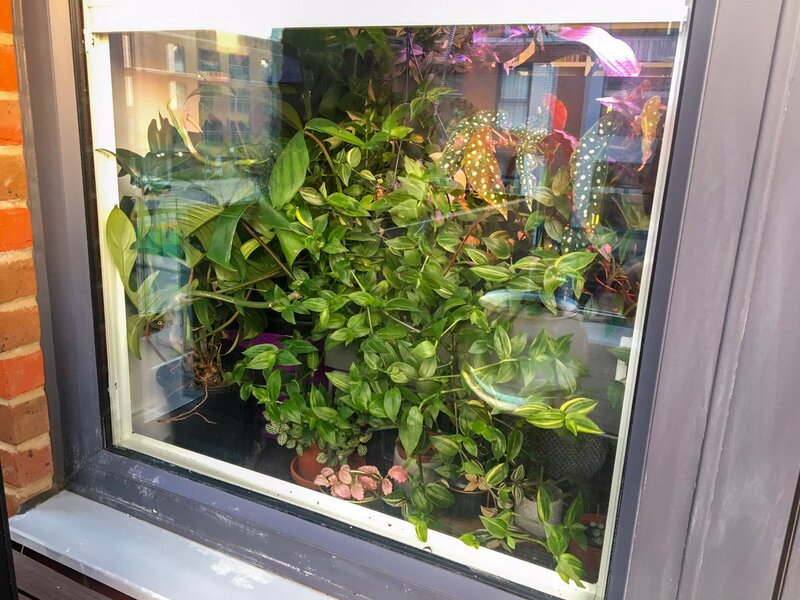 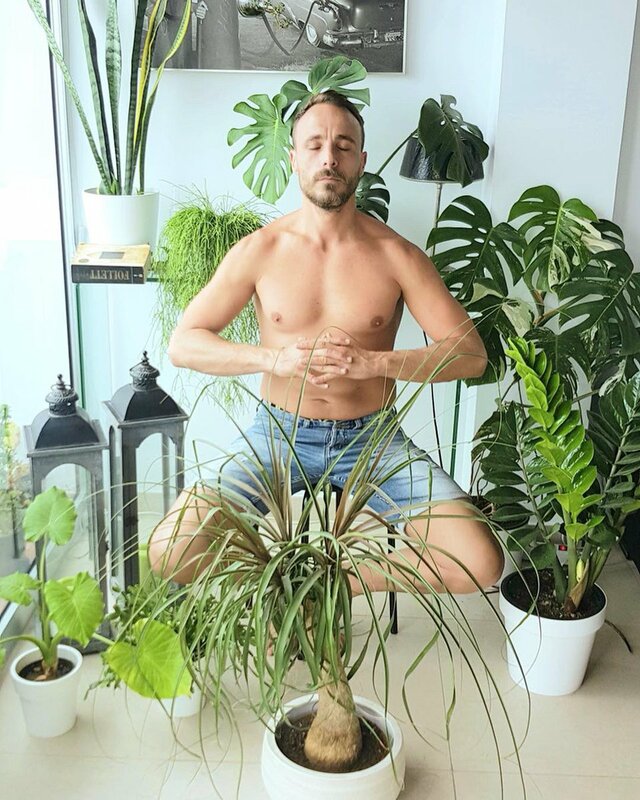 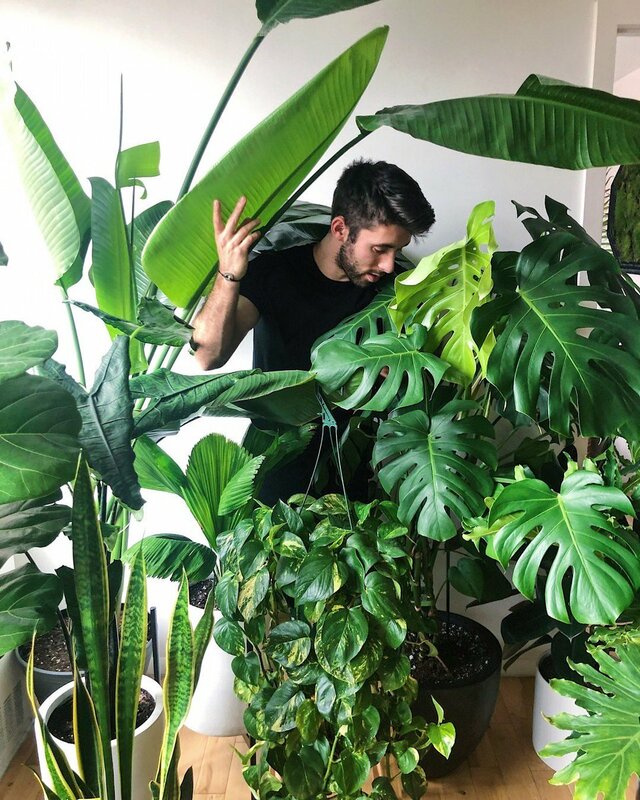 Therefore, some find it helpful to keep them at bay by either misting the plant often (if their space is not humid enough) or by delicately wiping the leaves of the plant regularly with a damp cloth to prevent any accumulation of dust. 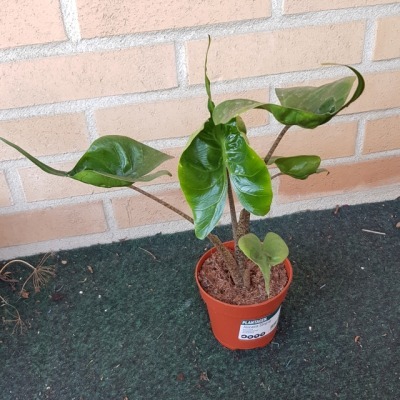 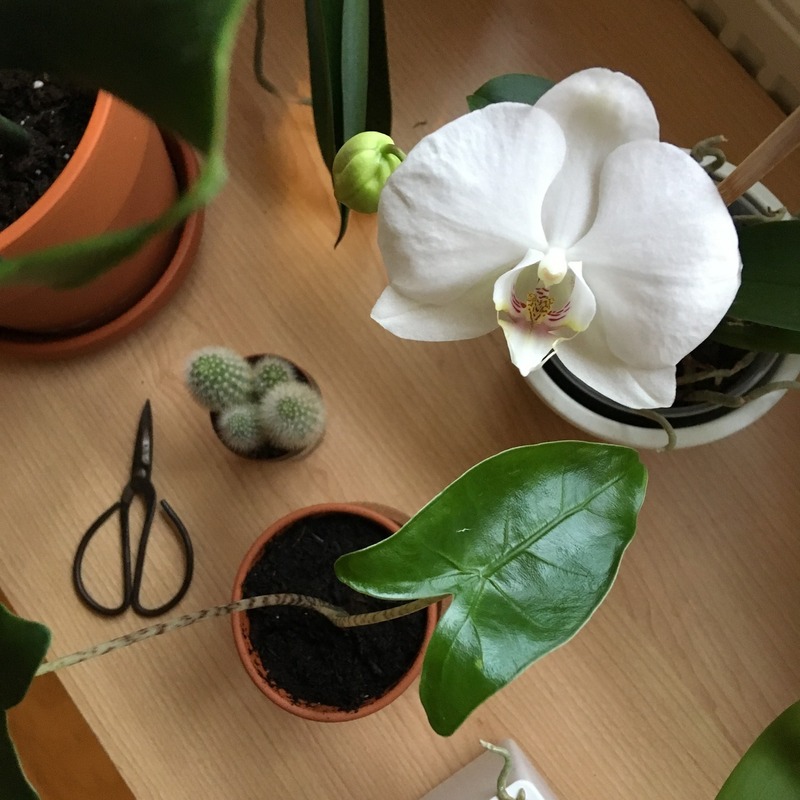 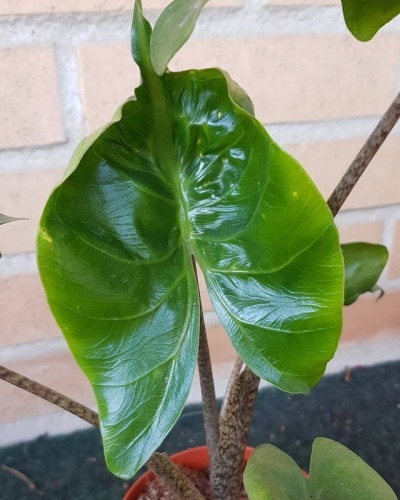 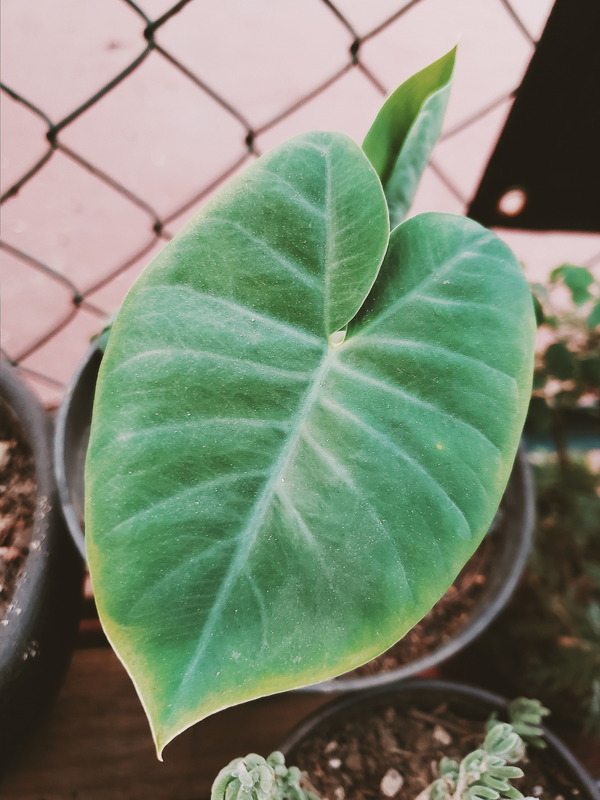 b-blushes alocasia monstera orchids succulents cactus phalaenopsis bear paw alocasia zebrina kinda worried about my baby alocasia it arrived with one leaf dying and the second is withering in the same way D: hopefully it puts on new growth or just survives the winter with 1 leaf!! 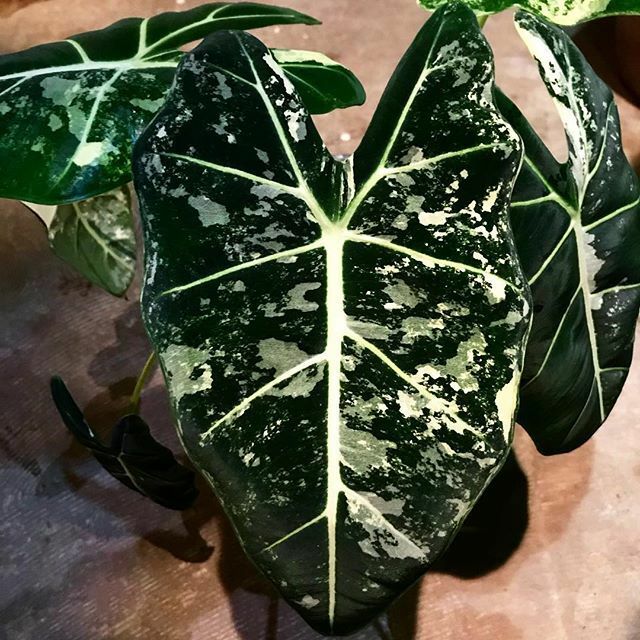 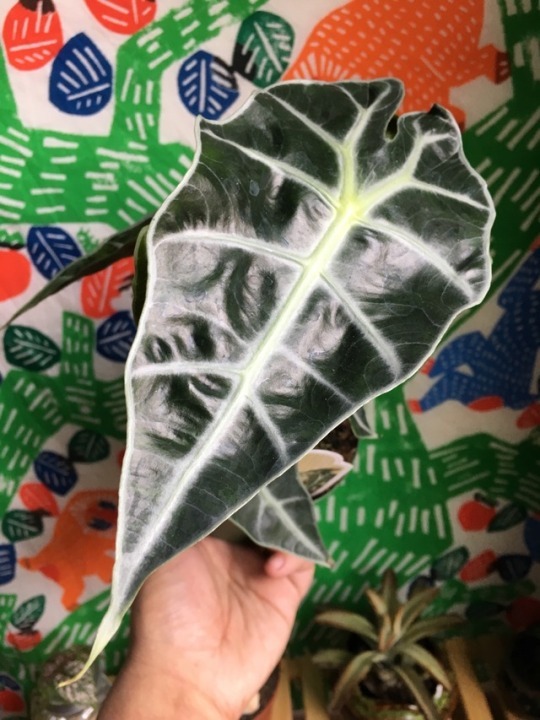 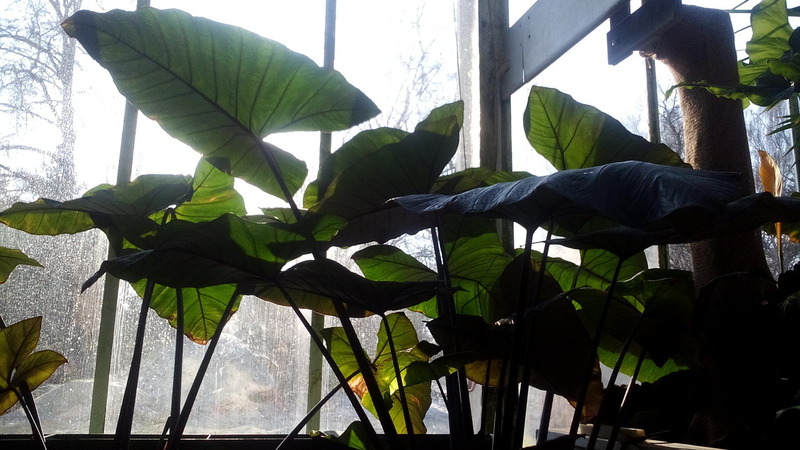 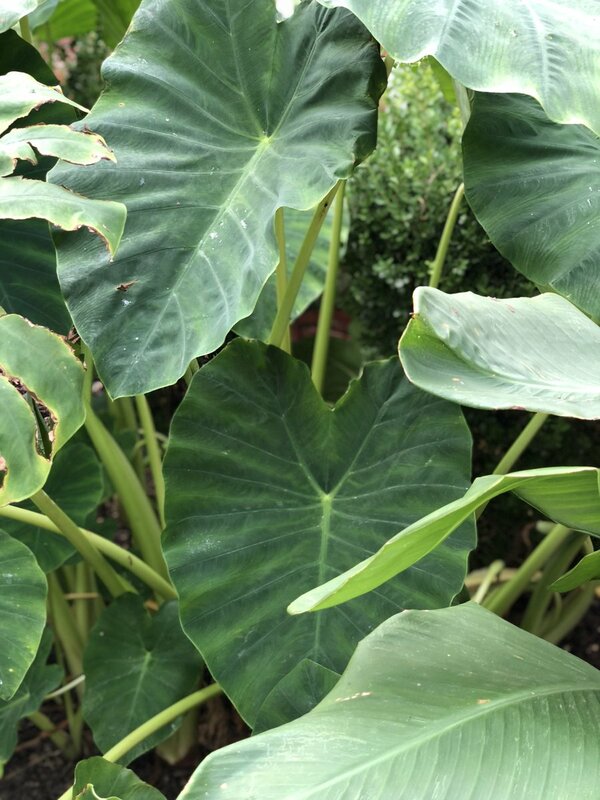 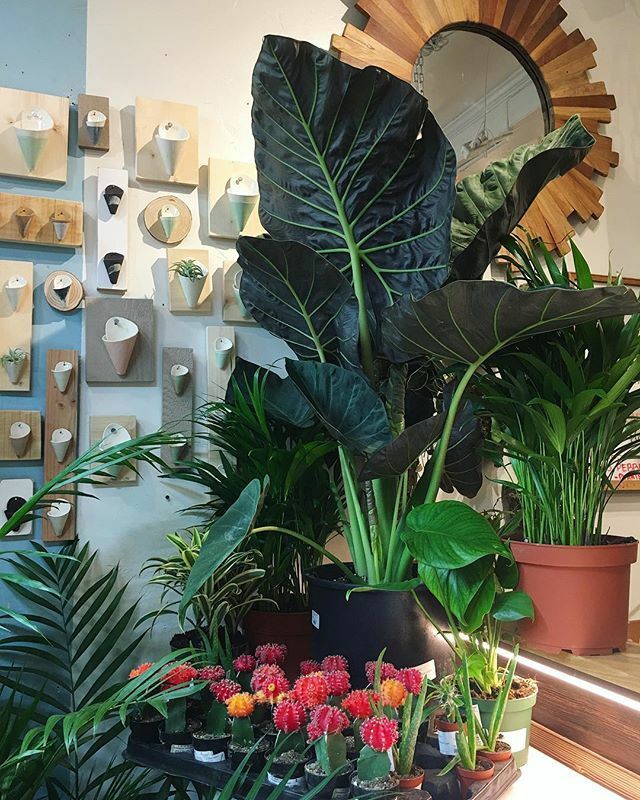 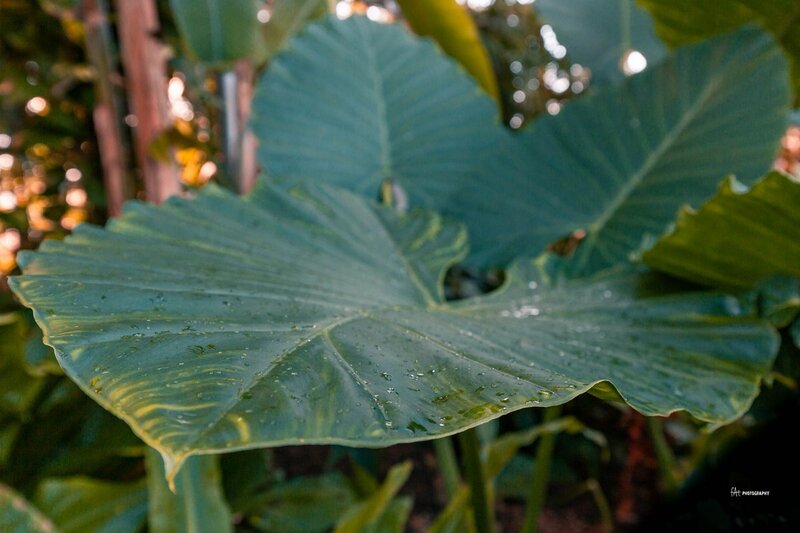 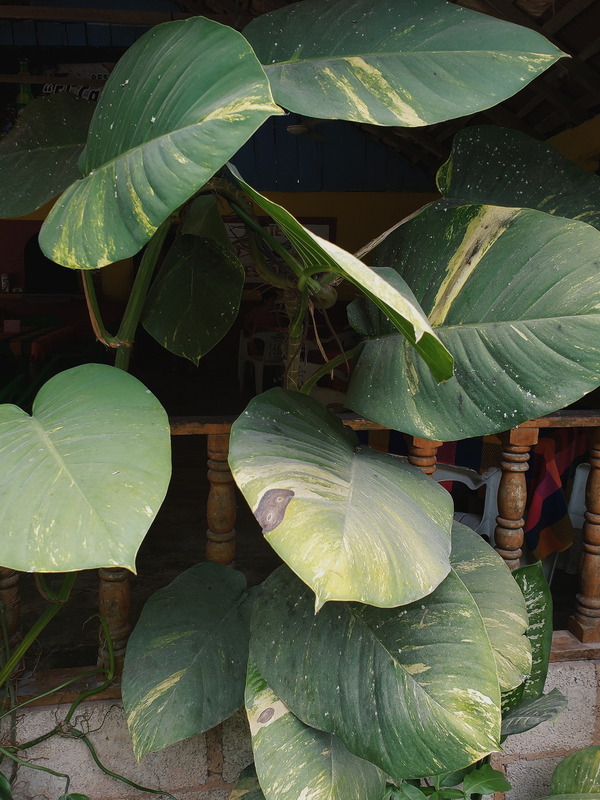 Is there anything more beautiful than an alocasia leaf? 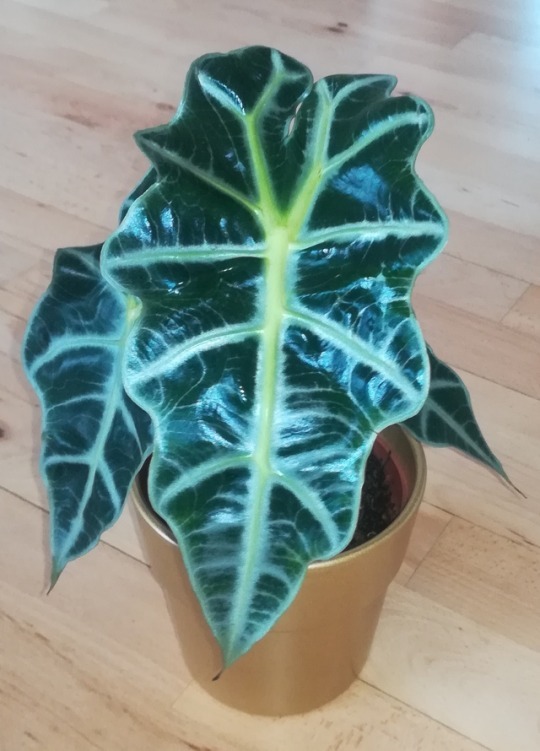 I haven’t properly baptized this baby, but every morning it brings me much joy. 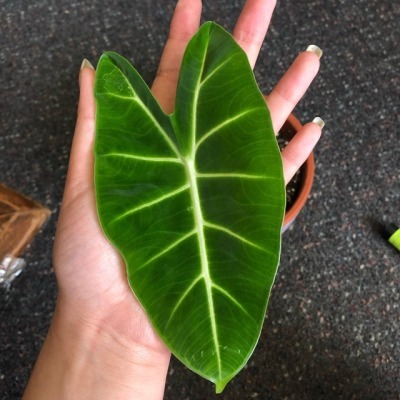 The leaf on the right is a new leaf and developed over the last week. 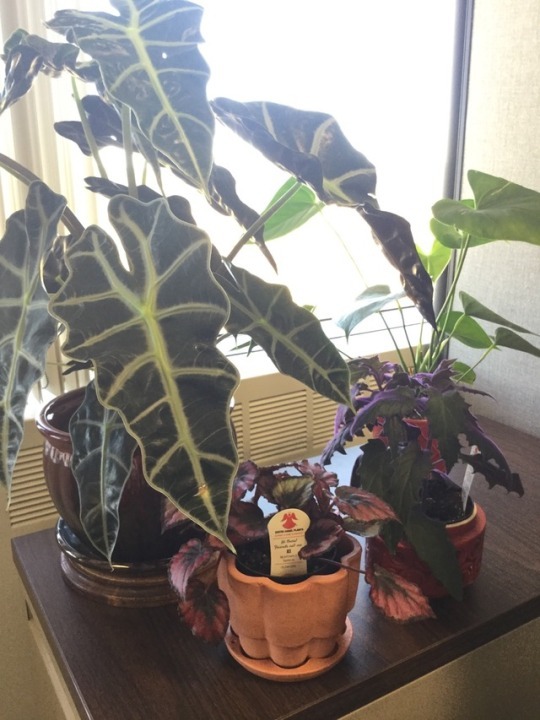 It’s been fun to watch these grow. 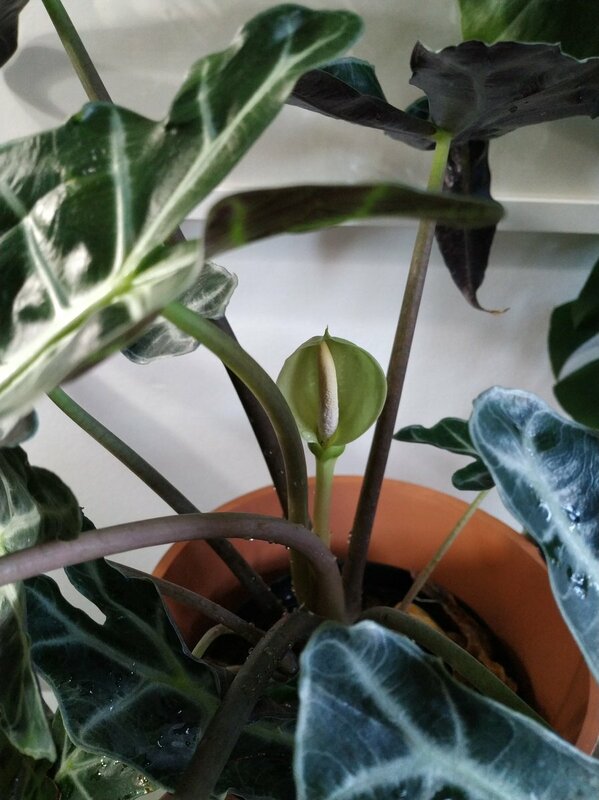 I thought they were weird little aerial roots when I first got it, but slowly they expanded into another leaf. 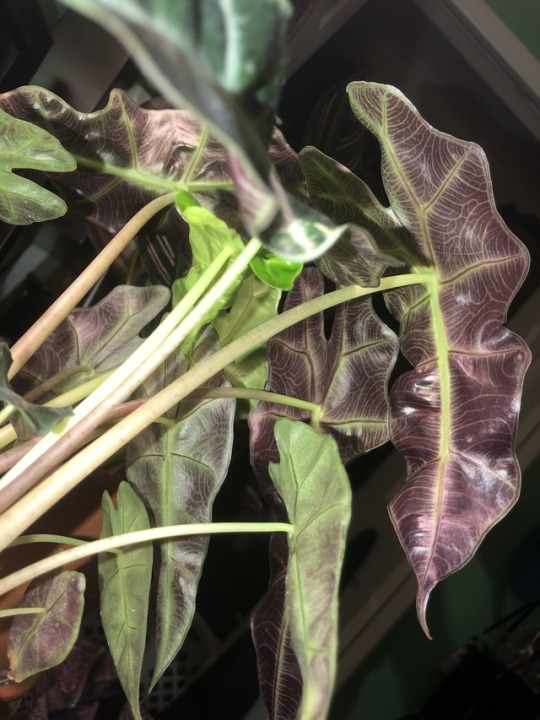 Quite honestly, I can’t stop looking st the underside of these leafs. 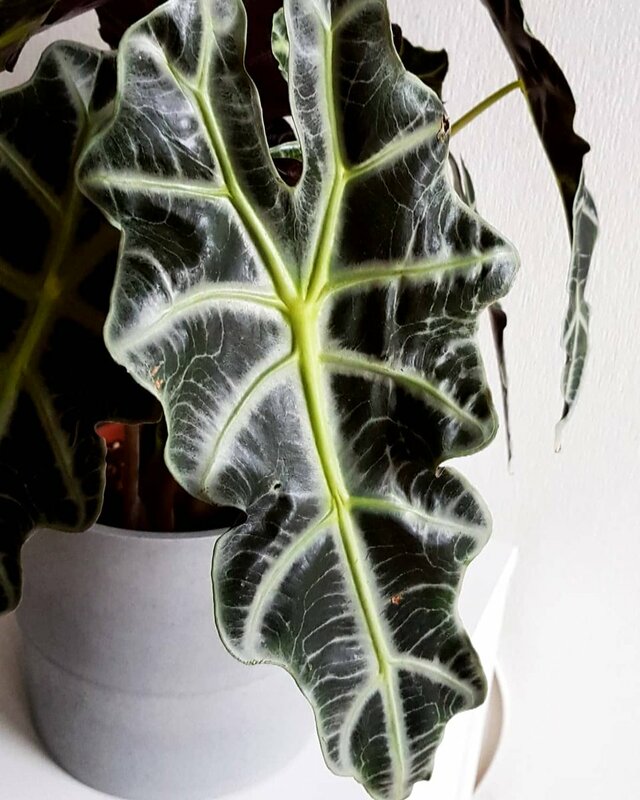 It’s one of the most beautiful patterns I’ve ever seen. 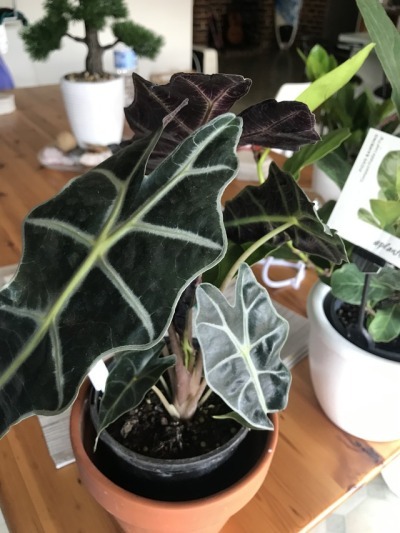 I have to come up with a name for her.